Deaf Centre Manitoba Inc.: Nurturing Deaf Arts with link for April 9th! 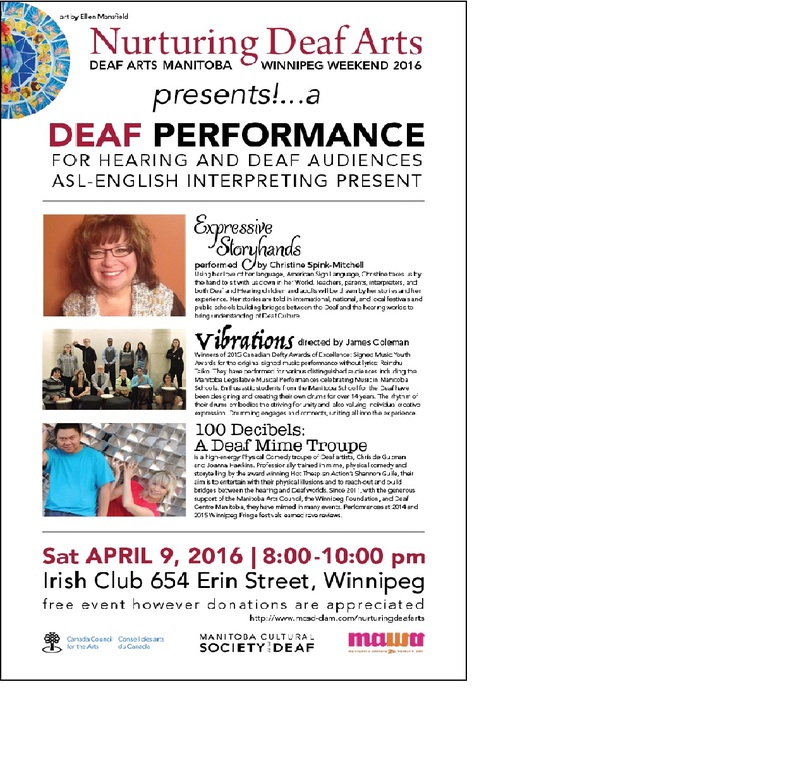 Nurturing Deaf Arts with link for April 9th! ASL Immersion available for July 2016!! DC Cafe Fish Fridays available on Fridays only!! ASL Night for March 24th !